We follow your feet, not the rules. too wide - not enough toe spring. thing. And have zero impact on the environment. 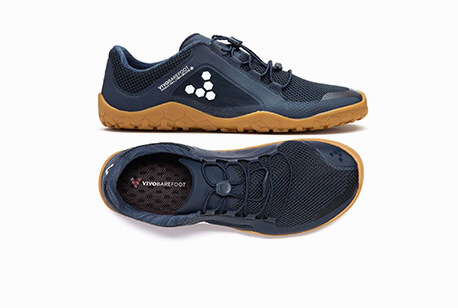 VIVOBAREFOOT make wide, flexible and thin soles shoes that allow your feet to do their natural thing. We constantly innovate to make as little shoe as possible. 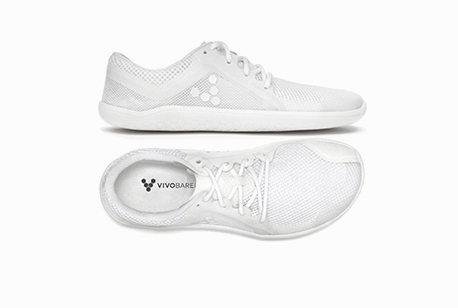 Our patented ultra-thin soles allow you to reconnect your feet with your brain and the world around you. Healthy natural movement is based on sensory feedback from the feet to the brain and is the best anti-ageing programme known to humans! 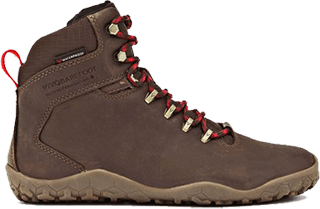 designed to let you explore barefoot every day. With minimum impact on the planet. and set off a more sustainable mindset that impacts all areas of your life. Simple: Simple design is about making as little shoe as possible to reduce parts, processes and ultimately put as little shoe between your feet and the ground as possible. 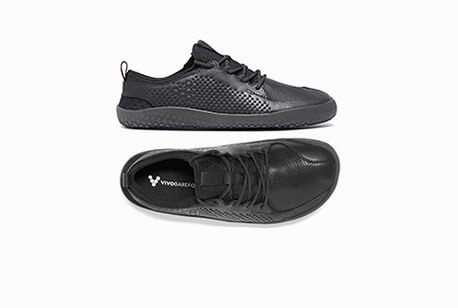 Functional: The product must also be absolutely fit for purpose and respectful of natural movement, so people can move freely and in a healthy way (which most shoes actually get in the way of). Durable: We carefully design and test every product in the wild and in the lab, and select the most durable materials we can find. This extends the product’s life, reduces the amount of products that go to landfill, and minimises environmental impact. across our entire product range. Our Eco Suede, Eco Mesh and Eco Canvas materials are highly durable, Vegan environmentally friendly alternatives to conventional animal suede and cotton based canvas. These materials don’t just look and feel great, our shoes rescue the plastic PET bottles from landfill, instead putting them to positive use. 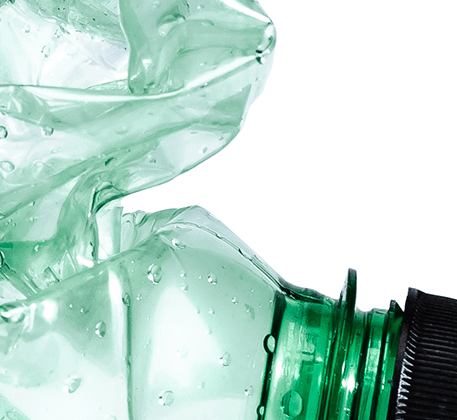 By 2020, we want to use 90% sustainable materials across our product range. We will focus on natural, recycled and bio-based material. And we will continue to work with new innovators to meet the highest standards in environmental safety and push towards new benchmarks and possibilities. 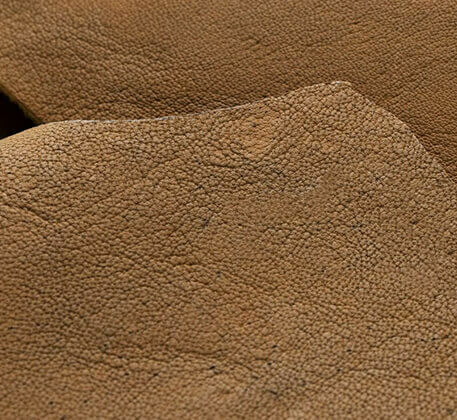 Leather is one of man’s oldest materials and has incredible performance characteristics. In most cases, shoes made with quality leather only get better with age. We only use very high-quality, Ethiopian leather. It’s soft and durable, and unlike leather from commercially farmed cattle, it’s naturally scarred and sourced from the hides of free-roaming cows reared by small-scale, independent farmers in Africa. We only use leathers that are by-products of the meat industry and that are sustainably tanned to minimize water and chemical use. The Ultra III is the first ever pair of shoes made using environmentally damaging Algae from the World’s waterways. Harmful Algal blooms pose an eco-crisis threatening marine environments the World over. Chemical waste is seeping into our waterways and creating conditions that trigger the uncontrollable growth of Algae. The Algae releases toxins harmful to humans and animals, as well as depleting oxygen in the water and blocking sunlight – vital components to a healthy marine ecosystem. This can lead to mass deaths of local wildlife and the pollution of drinking water and the air we breathe. 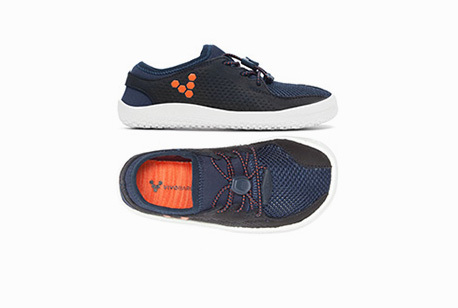 Each pair of Ultra III shoes helps re-circulate 57 gallons of filtered water back into natural habitats, and prevent the equivalent of 40 balloons full of CO2 being released into the Earth’s atmosphere. Put a footwear revolution on your feet. 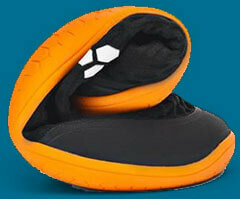 The Primus Bio is the future generation of the famous Primus Lite, re-engineered in a corn based, vegan bio polymer. By reducing the parts and production processes, it will be our lightest and most efficient performance shoe, crushing the environmental impact of modern shoe-making and putting as little as possible between your feet and the ground. 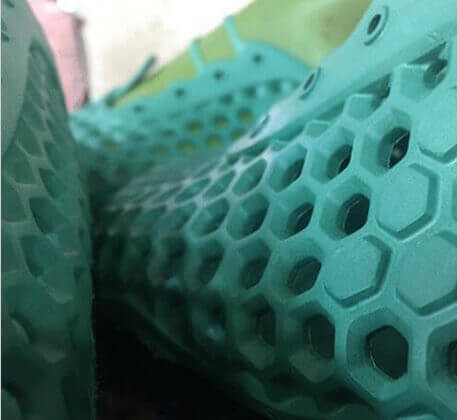 Following the release of the Ultra Bloom in 2017, which was the first shoe to repurpose algae choking the world’s waterways, the Primus Bio uses a natural bi-product of the field corn food industry called Susterra Propanediol. 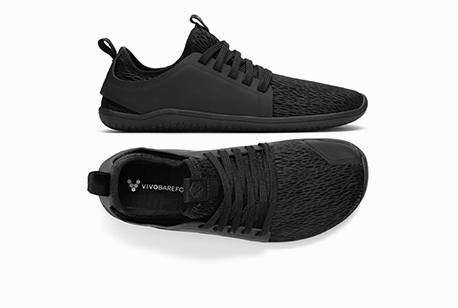 Developed by DuPont Tate & Lyle Bio Products, this plant-based polymer has allowed us to create an incredibly high performing shoe that is also our lightest and most environmentally sound yet. Susterra Propanediol is derived from the glucose in field corn and is petroleum-free, non-toxic and 100% USDA certified. 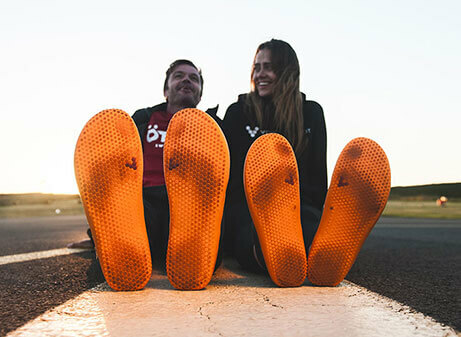 60% of the outsole and 30% of the upper of the Primus Bio is made from Susterra® propanediol based Bio-TPU – making a shoe that we think is the least petroleum reliant performance shoe in the world. Susterra Propanediol provides increased performance inline or better than the petroleum based soles we currently produce. The material gives greater flexibility in the cold and is incredibly resilient to abrasions and general wear. Susterra propanediol uses 52% less energy than the standard petroleum based materials used by the global footwear industry, and 32% less greenhouse gas emissions. Most trainers are only designed to be worn for approximately 250 miles (because the padding ‘wears out’!). We aim to make products that get better over time. Today we offer a full repair service for our Hand Cut collection to return even the most well-worn pair back to their former glory. We will re-sole them, replace the laces and give them a good polish and send them back looking almost like new. Soon we will offer a repair on all our shoes through the implementation of easily replaceable parts, re-stitching, repairing and getting them back on your feet to live another day! In a materially driven world, people are increasingly disconnected from the people who design and make the stuff we buy. We have been working with MODE Tracker since 2015, an organisation that helps brands reach their sustainability goals through a holistic and transparent tracking tool that measures the entire supply chain. To us, being ethical is about doing the right thing. Respecting laws and regulations wherever we operate, but also striving to make change if we do not believe they respect basic human, ethical rights. We want to encourage social dialogue and consequently collaborate with international organisations such as the International Labour Organisation (ILO), the Ethical Trading Initiative (ETI) and Better Work Global / Cambodia. great great great ancestors left off. They were the original minimalists. 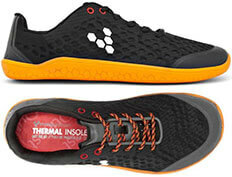 The first shoes that were ever made were designed for protection from thermal and puncture damage but that’s it. Recent industrialisation, under-foot technology and fast fashion is a brief blip in the grand history of sustainable shoe making. 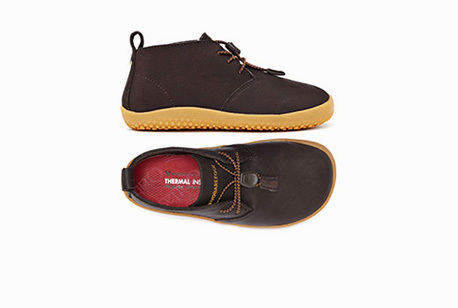 We work closely with indigenous shoemakers like the Kalahari Bushmen, Indian cobblers and the moccasin makers of the Arctic and are inspired by the economies of material use. 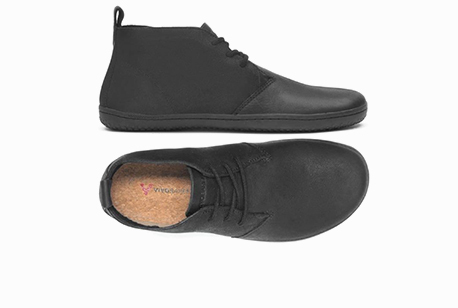 Modern technologies give us a unique opportunity to go back to making shoes foot by foot from locally sourced materials; the way shoes have been made for millennials.